Does Laura Mercier Foundation Powder Gives You a Natural Glowing Appearance? Laura Mercier is known for offering a formidable collection of makeup with color being the strong suit. The brand also offers a skin care line to complement the makeup collection. The makeup line of the company is set apart from the rest on the market with the trademark “flawless face”. The brand focuses on perfecting the complexion which is said to be the most important step in applying makeup. The counter staff in Mercier stores is known for their knowledge and experience in how best to apply the different makeups. The reputation of the company is a good sign of the quality of their products. What Is Laura Mercier Foundation Powder? The product is a convenient wet or dry compact powder formulation that contains oil control ingredients for hindering shine. It can be used as a touch-up over liquid foundation or on its own. Out of all the Laura Mercier foundations, it is designed to offer the most coverage. It is luxuriously smooth and designed to be compatible with most skin types. The powder helps the user achieve a natural glowing appearance. 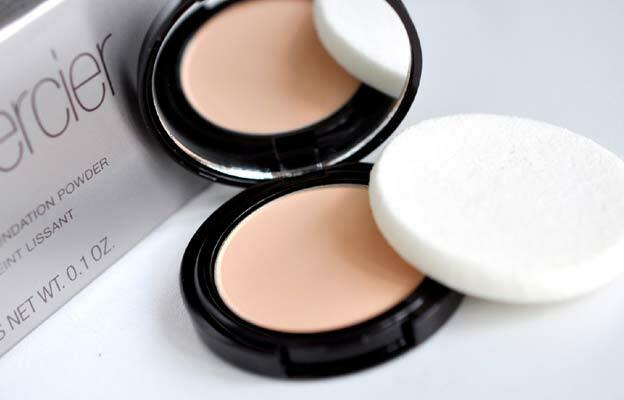 The compact comes with a sponge and a puff for easy application. There are three shades available with the first one for fair to light skin tones, the second one for fair to medium pink skin tones and the third one for fair to medium yellow undertones. Apply using the applicator sponge and puff after applying foundation primer. For the sheer (dry), pick up some product with a powder brush, tap out the excess then apply using an outward and downward motion. For the medium coverage (dry), use the enclosed puff and apply just like using a pressed powder on the desired areas of the face. Be careful and avoid the eye area. For the full coverage (wet), dampen the sponge then apply desired amount. Smooth onto the face carefully avoiding the eye area. How Long Does Laura Mercier Foundation Last? Laura Mercier Foundation lasts a few hours which requires re-application about 2 to 3 times a day. For some types of skin (sweaty and oily), it only lasts an hour or so but some users reported that it can last a whole day on their skin. How Much Does Laura Mercier Foundation Cost? One Laura Mercier Foundation is priced $40 on their website. The price is on the high side considering there are many lower-priced high-quality foundations being sold today. 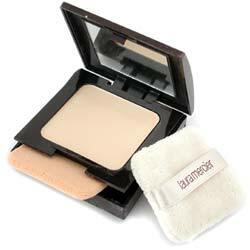 Laura Mercier Foundation Powder is a good compact powder that suits many skin types. There are only three shades available but the company now offers a new foundation powder with a wide range of shades for complicated complexions. This is a good product but only very few sellers still have it in stock so you need to hurry and buy one if you want to try it.